Immediately my heart sank and I felt overwhelmed by the thought of all the time and work involved. How could I possibly tackle every thing I needed to change? It was too much to even contemplate. When I awoke, I wrote down the dream and taking its message at face value, drew a mind map of all the things in my inner and outer life that I knew needed attention. 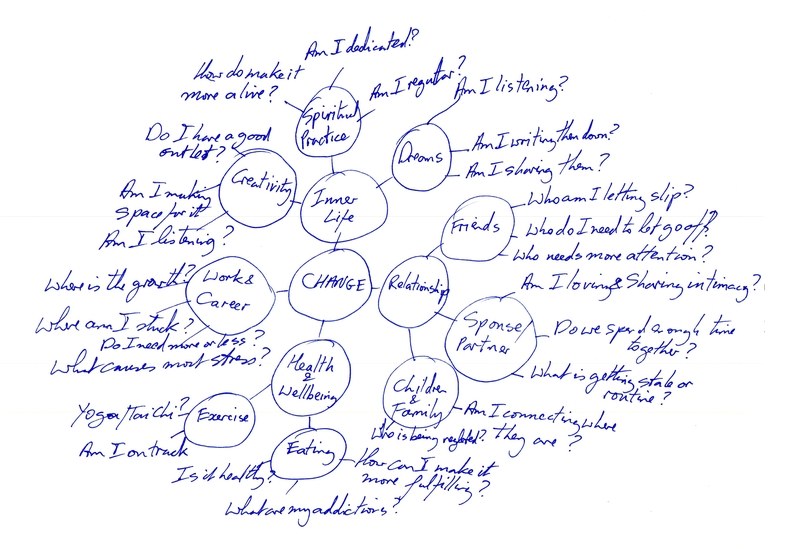 A mind map (see the example above) is a quick and easy way to get all your thoughts and associations down onto paper so you can see them all at the same time. Once you have the basic topics diagrammed, you can add questions, details and links to describe how everything is connected to everything else. In that way, the map is probably the closest reflection of how the brain and Self organizes our experience. I tended to procrastinate and resist the particular tasks needed to make progress in that area. In order to grow, we have to become aware of what needs changing in our selves and in our situation. 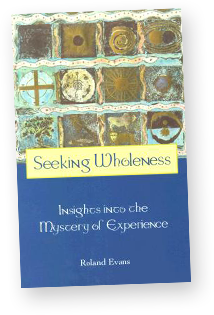 Only then can we engage with those aspects of our being that require attention and action. Our inner self is always prompting us to become a better person. Listening to our dreams, journaling and using tools such as a mind map can help us on our journey to change and inner growth.